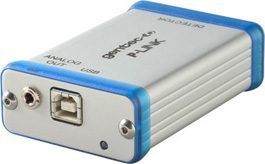 USB, RS-232 or EthernetChoose your favourite communications port. The USB version is port-powered. Ethernet available only on 4-Channel version.